To best serve his DUI defense clients, he has successfully completed the National Highway Traffic Safety Administration (NHTSA) approved student course in the administration of standardized field sobriety tests. In addition, he has successfully completed the NHTSA Certified Field Sobriety Instructor class, making him one of the few NHTSA Certified Field Sobriety Instructors in Virginia. With that instructor certification, he is qualified to teach classes regarding field sobriety testing. Since completing the DOT Certified Breath Technician course in the EC/IR II, Virginia’s evidentiary breath tester, Attorney Keefer has acquired an INTOXIMETER ECIR and Alco-Sensor III, which law enforcement uses for preliminary breath testing. He has written articles on the new breath tester, the EC/IR II that Virginia is adopting. Attorney Keefer is also the co-author of a book on DWI/DUI defense in Virginia. 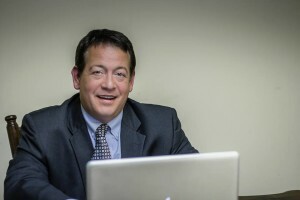 If you need assistance in the Shenandoah Valley area, contact Attorney Keefer schedule a free case evaluation. We can discuss your case to determine what is best for you.